(Nanowerk News) The efficiency of solar cells depends on precise engineering of polymers that assemble into films 1,000 times thinner than a human hair. Today, formation of that polymer assembly requires solvents that can harm the environment, but scientists at the Department of Energy's Oak Ridge National Laboratory have found a "greener" way to control the assembly of photovoltaic polymers in water using a surfactant-- a detergent-like molecule--as a template. 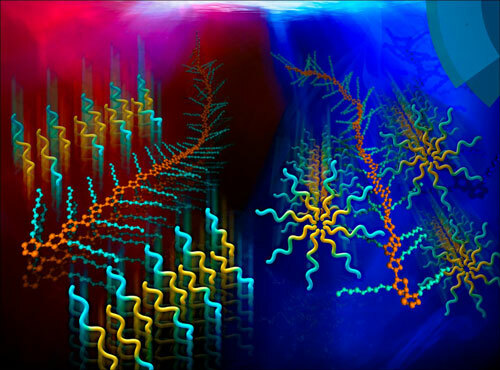 Their findings are reported in Nanoscale ("Controlling molecular ordering in solution-state conjugated polymers"), a journal of the Royal Society of Chemistry.